Available in colours bright blue, green, yellow or red. 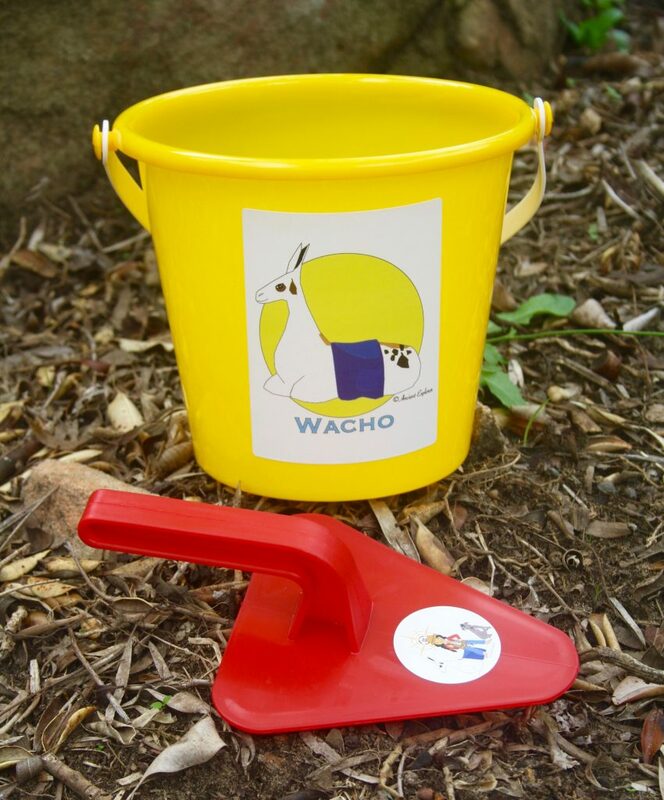 The small Wacho Bucket is 15cm in height and 15cm in diameter (max). It is yellow in colour and has a white handle. Suitable for 18 months and up. Please note that the colour of the picture may vary slight to actual product. 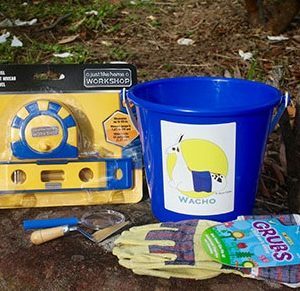 This set is designed for an early learner’s very own backyard excavation, whether in the garden or the sandbox. 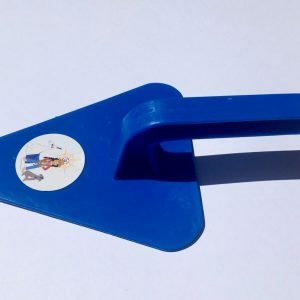 The set includes 1 x Miniland Trowel featuring Team Ancient Explorer and 1 x Wacho Yellow Bucket.